Evaluating your current presentation style through a mock presentation Video taping and feedback. Understanding the four basic ARCH Communication Styles. Learning which style is most like you. Identifying strengths and areas to work on. Discussion and practice in approaching each of the four styles. Developing and practicing a presentation outline to fit your topic. Addressing needs of audience throughout presentation. Planning opening and closing remarks for maximum impact. Learn to tell “success stories” to engage your audience. Using facts and statistics to back up your information. Developing rapport and chemistry with audience members. Steps to overcome stage fright. Identifying and practicing specific skills to improve performance. Learning what delivery skills work best with your style. 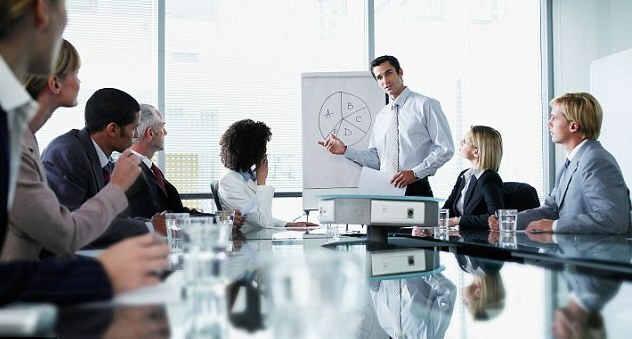 Selection and effective use of visual aids Handling questions and answers for optimum success. Strategy session discussing benefits of your company versus competition. Developing an agenda based on needs and concerns of client, benefits to client, examples and success stories. Practicing persuasion techniques to help get your ideas implemented. Selection and use of visual aids for each presentation. PRACTICE WITH VIDEO TAPING AND FEEDBACK.